Below is a transcript of Golf Canada’s 113th president, Roland Deveau’s, acceptance speech during the 2016 Annual General Meeting. It is a great honour to accept the nomination to become the 113th President of Golf Canada. It is a responsibility that I humbly accept, recognizing the significant and unselfish contributions made by our previous leaders and all of the many dedicated volunteers, like you, who work each day across Canada for the betterment of our sport. In the period since I’ve been asked to lead this great organization, I’ve reflected on the many individuals who have influenced me along the way, including many in this room. I’m very appreciative of their help and encouragement. I also greatly value the words of wisdom and advice I have received from all our prior Presidents. Their collective experience and insight is something I will continue to draw upon throughout the year. I want to thank Golf Canada’s Board of Directors for their unwavering support. This group works tirelessly to provide strategic direction to our organization. While the Directors all come from different backgrounds, they work as a cohesive group to address our challenges, and pursue the opportunities for the future. One person deserves particular mention. Our outgoing President, Paul MacLean. Paul came to Golf Canada in 2010 as someone well-known in the golf industry as the leader of a very successful business. He has unselfishly given of his time and his expertise for the advancement of our sport and of Golf Canada. I know that the Board values his unique perspective and we have very much appreciated his words of wisdom and advice. Paul, thank you very much for your service. Because of you, Golf Canada is in a much better position to meet our future challenges. Scott Simmons, our CEO, and his dedicated staff, also deserve our thanks. While many of us look forward to the opportunities for our organization, Scott and his staff are dealing with the difficult day-to-day operational challenges of running this national sport federation. The Board and I know it is not an easy task. But they do it professionally and with a level of dedication that makes our organization a “best in class” sport federation respected by its peers in this country and by other stakeholders around the world. For that we thank you. On a personal note, I want to recognize the support I have received from my family and friends. This obviously extends to the most important person in my life, my wife Jacqueline. She has supported me throughout my involvement in golf, and as some of you know, the many other things I have been involved in over the years. I would not be here if it were not for her. Jackie, I love you very much and I appreciate all the support that you’ve given me. I also appreciate the kind words of support I have received from all of you – the Governors, Provincial representatives and Committee members. I look forward to working together to fulfill Golf Canada’s mandate. On that note, I’d like to share with you some of my thoughts on the road ahead for Golf Canada. I have long recognized and appreciated the many individuals, like you, who support the game of golf with your volunteering efforts. People who give a lot more to the game than you could ever expect in return. Whether you work directly under the Golf Canada umbrella, or simply support golf in your community, your collective effort is something that greatly benefits our sport. We simply could not function without it. There are also many individuals who earn their livelihood from the game. They are the backbone of the industry given their critical roles on the front lines of the facilities. This includes golf professionals, owners, managers, superintendents, and others. Many of these people represent our NAGA (National Allied Golf Association) partners and are here with us tonight. The common element between the volunteers and those who earn a livelihood from golf is that we all share a passion for the sport. We all want a better future for the game we love. We all know what we want for the future of our sport. Golf has been very good to all of us in this room. We enjoy the game, the friendships we’ve made and the excitement of a well-struck shot. We have all indulged in the serenity of an early morning round with dew still on the fairways. And we have all admired the golden landscape of our home course in the setting sun. And I believe it is our common goal at the end of the day to ensure that all golfers who play this great game, as well as new enthusiasts, get to enjoy these same quality golf experiences. But to achieve this we have to work together. As the National Sport Federation, we have to show leadership for the betterment of the game. We have to work cooperatively with the provinces and our NAGA partners. If one of us benefits, we will all benefit. Our leadership must provide the vision for success, but it is critical that all stakeholders share in developing, and are aligned with, ONE COMMON VISION for our sport. In 2013, we made great progress with the provinces at our meetings in Charlottetown. We have continued the work this past week….Much still needs to be done and I undertake to work with all of you to ensure we reach our common objective. I understand both the national and provincial perspectives in addressing the challenges that we face. My involvement in golf began at the club level, proceeded through the local zone and extended through to the provincial level. Having now been involved at the national level, I can see the tremendous benefits of working together. Scott Simmons mentioned it in his CEO welcome session—COLLABORATION. We must avoid duplication, share resources where possible, and become aligned in our strategies. It is not an easy task, but the greatest rewards do not come without sacrifice and effort. We owe it to the game to ensure every golfer can enjoy the same quality golf experiences that we’ve had. And we must all work together with our NAGA partners, because we all share the same ultimate customer – the golfer. This is an important time in our sport. The challenging economic climate requires us to find ways to engage with more golfers. We must look for new ways of connecting with our members and the golfing public. We must be innovative in the delivery of our programs and services and how we connect with golfers. 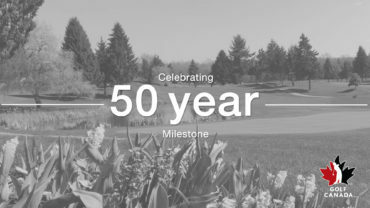 Whether through an attractive suite of member benefits, core services and programing, or utilizing technology to enhance digital experiences through our website or social media, it is critical that we connect with a greater share of Canada’s 5.7 million golfers. And if all are aligned, we will have a much better chance to succeed. All of you should be proud of the work you do for Golf Canada. Whether that’s running national championships across our great country, long-term player development, handicapping, rules education, or the development of new digital experiences for our membership, we offer “best in class” programs that are recognized both in Canada and around the world. This organization is respected among our global peers and we will continue to work with golf’s governing bodies, the R&A and the USGA, to promote this game whenever we can. But in order to grow and succeed, we must be bold. We must take bold steps to show that Golf Canada is a leader when it comes to turning ideas into reality. We do have people in Canada that are prepared to show leadership. We admire pioneers like Marlene Streit and Diane Dunlop-Hébert, who recently became members of the R&A. 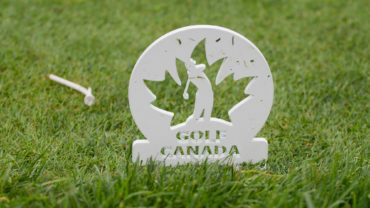 We took our own progressive steps this week with the announcement that, for the first time, Canada has selected two female representatives, both of whom I am proud to count among my friends, to represent our country as our Rules Chair and as our advisory member on the R&A Amateur Status Committee. This shows leadership. I know that Diane Barabé as our Rules Chair and Jean Stone-Seguin with Amateur Status will be tremendous representatives for our country on the world stage. AND we will be taking bold steps to promote and encourage diversity within our organization by establishing a Diversity Enhancement Working Group, as most of you have heard about this week. That means reaching out to connect with new Canadians and underrepresented groups. It’s also about growing the Golf in Schools initiative—with 10,000 elementary and 4,500 high schools, the Canadian school physical education system is the single most concentrated opportunity to introduce students of all demographics to the sport. Another big reason I am excited about my term as President is that 2016 marks the long-awaited return of golf to the Olympic Games. I believe the Olympics represent a quality golf experience that I spoke about earlier tonight. It has the potential to attract new enthusiasts to our sport. George S. Lyon, a Canadian, was the last golfer to win an Olympic gold medal in 1904 and I’m thrilled to have the magnificent Olympic trophy here this week. While we will always celebrate our history and our heritage, the 2016 Rio Olympic Games has the potential to excite a golfing nation. As the National Sports Federation, we will be part of the mission team including coaches supporting four athletes competing for Canada in the golf competition. 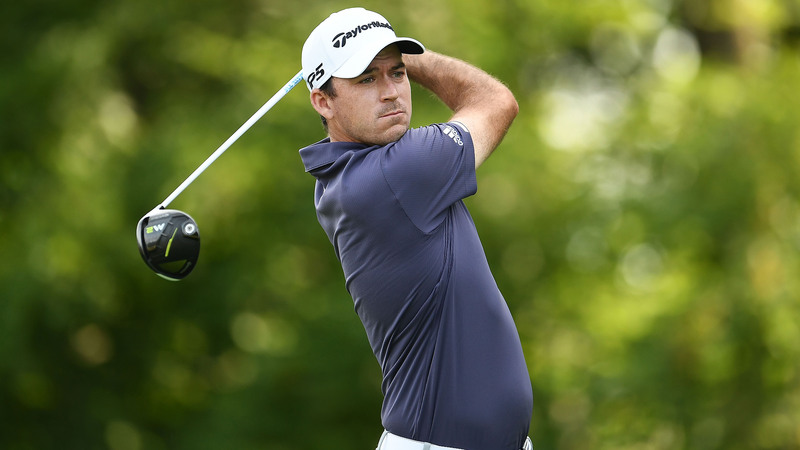 We have 25 Golf Canada program graduates competing on professional tours around the world. Most, if not all, of our four qualifying Olympic athletes will be graduates of Golf Canada’s player development system. A system that is delivering results. Our sport needs heroes! When Canadian golfers compete and win, especially in events like the Olympic Games, their passion inspires the next generation of golfers to take up the game. We have a wonderful opportunity with the Olympics to share the values and benefits of our sport with millions of viewers across Canada, and around the world. It is an opportunity we cannot squander. Many viewers who will watch the Olympics may be occasional golfers. Others, including young children, may never have played at all! But they will be drawn to these champions because they are Olympic athletes… If these viewers already play golf, we want them inspired to play more often, or to support the game by engaging with Golf Canada. I encourage all of you to join me in celebrating the Olympic movement! Many of you have played a role in the development of our young athletes. You may have volunteered at a provincial or national competition. You may have been a tournament or rules official, or helped youngsters learn about the game. Be proud that your work has contributed to their development and ability to compete at the highest levels, including the Olympic Games. The Olympic team is your team! It is Canada’s team! …And I truly believe our Olympic golf athletes have an opportunity to medal in Rio… and to win! This is an important time for Golf Canada to leverage golf’s return to the Olympic Games. TO RECOGNIZE that success at the Olympics and showcasing our game on the brightest stage could translate to the growth of our grassroots programs. TO WORK with partners such as RBC, Hudson’s Bay Company and BMW who live within the Olympic and Canadian Olympic Committee ecosystem. Ladies and gentlemen, athletes like Brooke Henderson, Alena Sharp, David Hearn, Graham DeLaet, and Adam Hadwin are doing amazing things and will look to defend the title that earned George S. Lyon this majestic Olympic trophy in 1904. In 2016, we’ll see Golf Canada’s marketing and communications efforts infused with an Olympic theme. That also means inviting other industry stakeholders—owners, managers, pros and facilities—to share in the celebration of the Canadian Olympic golf dream. We want the Canadian golf community to share in the Olympic celebration. And in doing so, we hope to inspire Canadians to play more often, or feel inspired to take up the game. Yes, this is an exciting time for our sport and I look forward to working with everyone in this room to create quality experiences for all golfers in Canada. 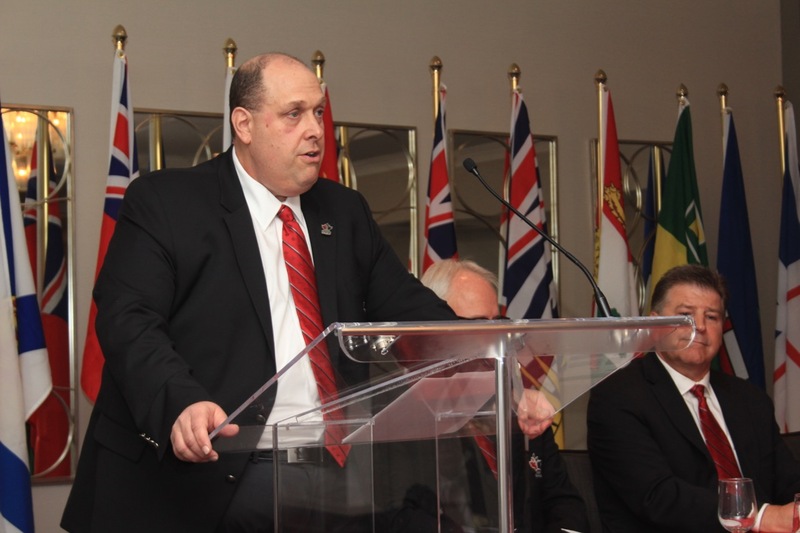 In closing, I wish to again thank the members of Golf Canada for having entrusted me to serve as the 113th president of this storied association.